Anti-bacterial hand gel – I seriously cannot survive a festival without this. Keep it in your pocket for easy access! Torch – because you don’t realise how dark it gets by the time you’re walking home / attempting to find your tent. Ear plugs – I don’t personally use these, but if you’ve got sensitive ears and want to get close to the stage then I’d definitely suggest them. Poncho (red or blue) – English weather.. need I say more? I usually go to Boots and snap up some of their holiday miniatures but I came across a company on Twitter called Pic ‘n’ Mix Festival – who have premade kits filled with everything you need, or you can choose your own items from their pic ‘n’ mix products. (So handy!!) Pic ‘n’ Mix were super kind and sent me their VIP Festival Survival Kit to try out at Wild Life. It has pretty much everything you’d need – so definitely check that out for some inspiration! 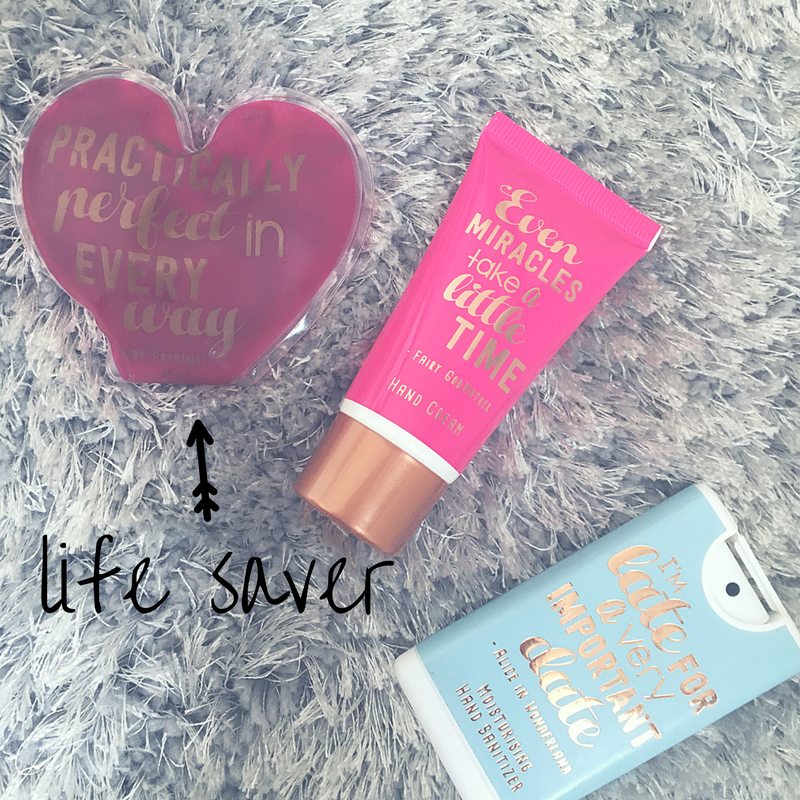 I’ve gotta say, I was really impressed with the quality of the products, especially the Sierra Bees lip balm which I fell in love with instantly. Also, the torch in the pack was really bright and came on a keyring so I’ll definitely be attaching that to my keys now that I’m home! THESE LITTLE THINGS ARE AMAZING. I have horrific circulation – put your purple hands up if you’re also part of the Raynaud’s club! Holding cold beers and prancing about in fields is the worst thing for my hands, and they often end up ice cold, so this little thing was a life saver. You just break the metal disc inside and it heats up to keep your hands nice and cosy. This one is super cute, and from a kit that I recieved from MAD BEAUTY, which also comes with a hand sanitiser and hand cream. (They’re both ‘cheeky cherry’ flavour and smell absolutely amazing.) I love the Disney quotes on them too! Although the signal is AWFUL at Festivals, you’ll still want to take a lot of pictures / videos and so you need to grab yourself a power bank. Charge it up before you head to the festival and you’ll be able to charge your phone on the go rather than having to leave it somewhere. 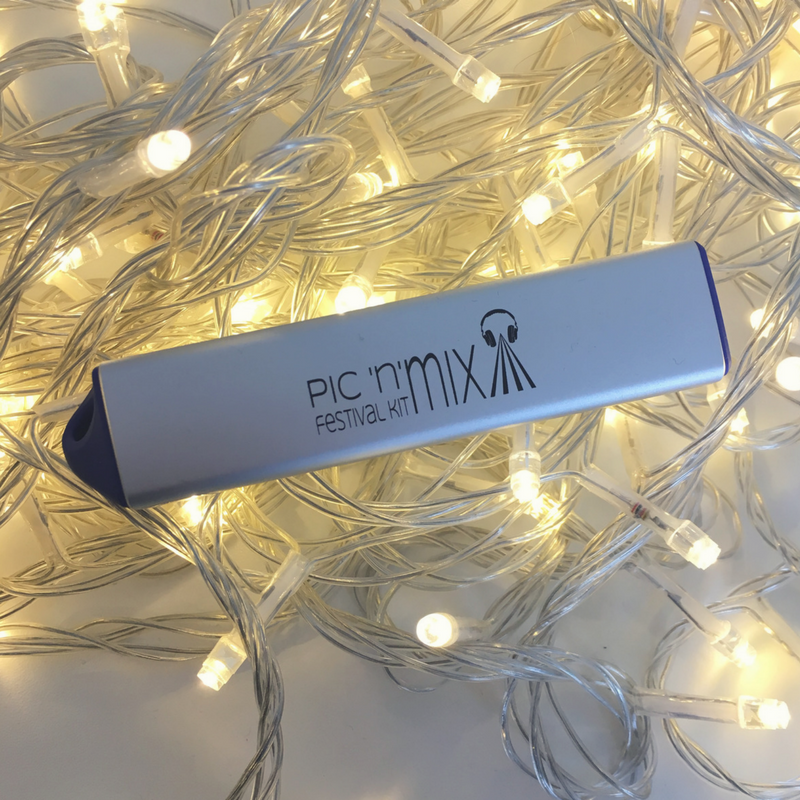 Pic ‘n’ Mix Festival sent me their power bank alongside their kit and I’d thoroughly recommend it. It worked perfectly and it even has an auto-on / off function so that it doesn’t waste battery when you’re not using it! 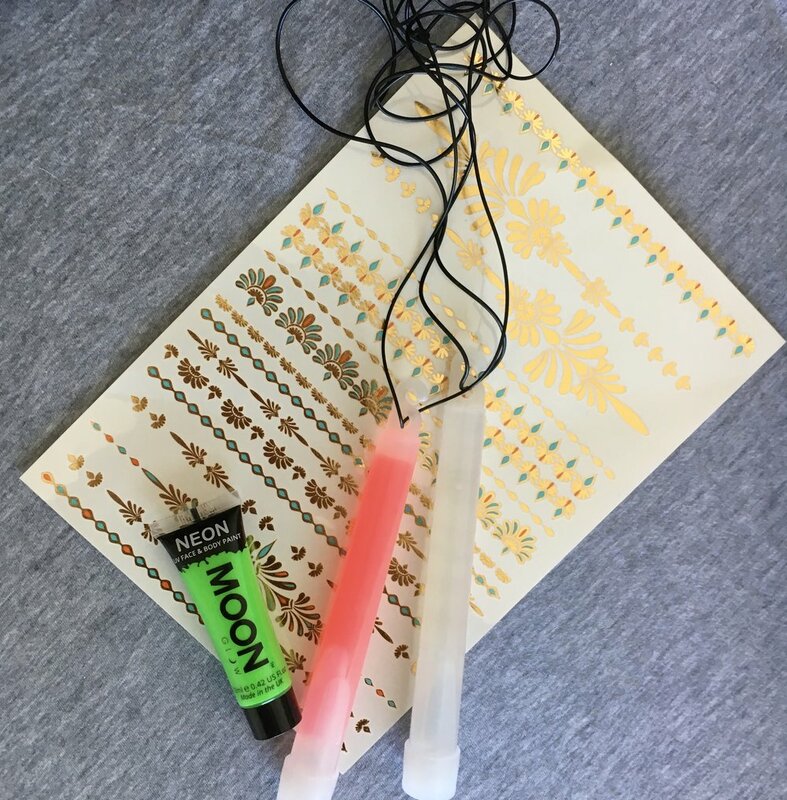 Glow sticks: I hadn’t really thought about these but they came in my Pic ‘n’ Mix kit and they were so fun to use, and lasted for hours… Genuinely, I woke up the next morning and they were still glowing! UV face / body paint: A fun alternative to glitter. Again, another thing in my kit that I hadn’t considered using before but it worked really well and stayed on the whole night! 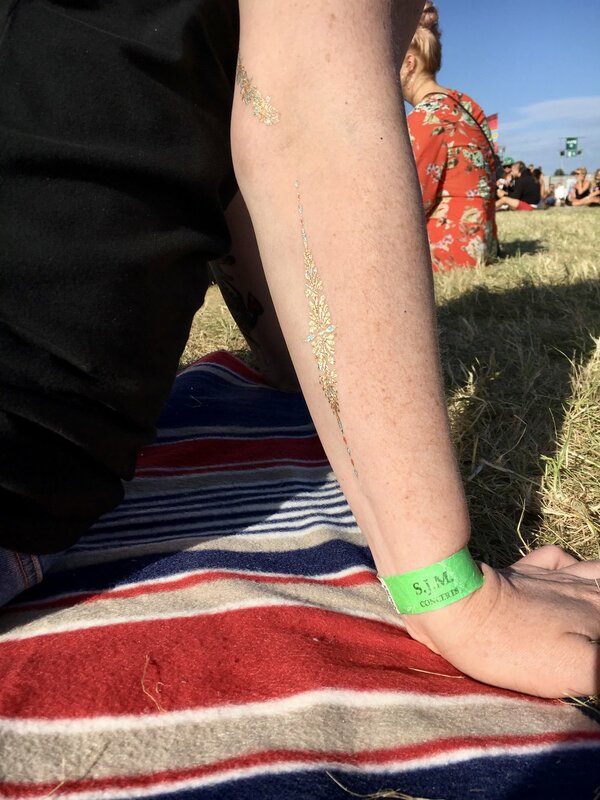 Glitter: I used a glitter I’d bought from Asos last year by ‘In Your Dreams’ in ‘Gold Lileth’. It was super cute and a mix of gold glitter, stars and diamonds. I just wiped a bit of vaseline on my face and then dabbed it on using my fingers and it turned out great. Top tip: Spray a bit of hairspray over the top. Even better tip: Remember to shut your mouth and eyes when you spray the hairspray. Bex and I forgot to do so! 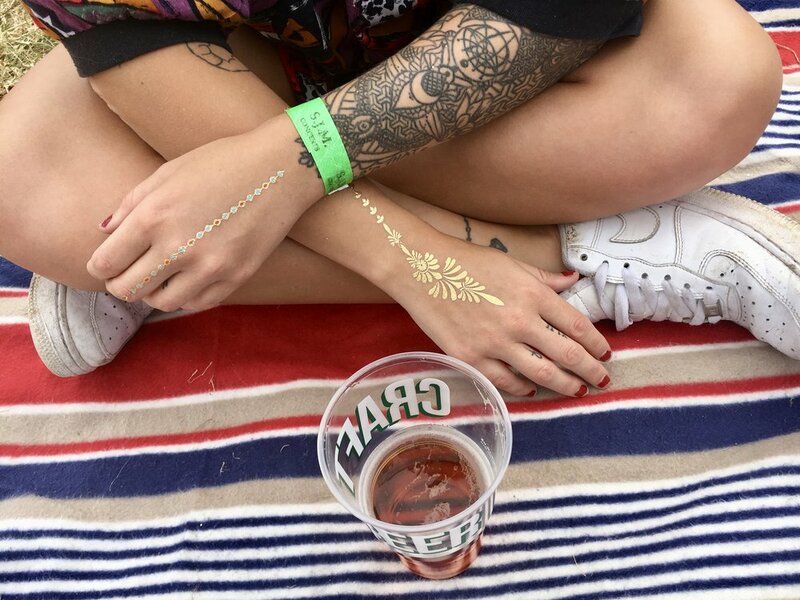 Temporary tattoos: I know, I know… I have real tattoos… but I wanted more and fell in love with a brand called Azzy London. 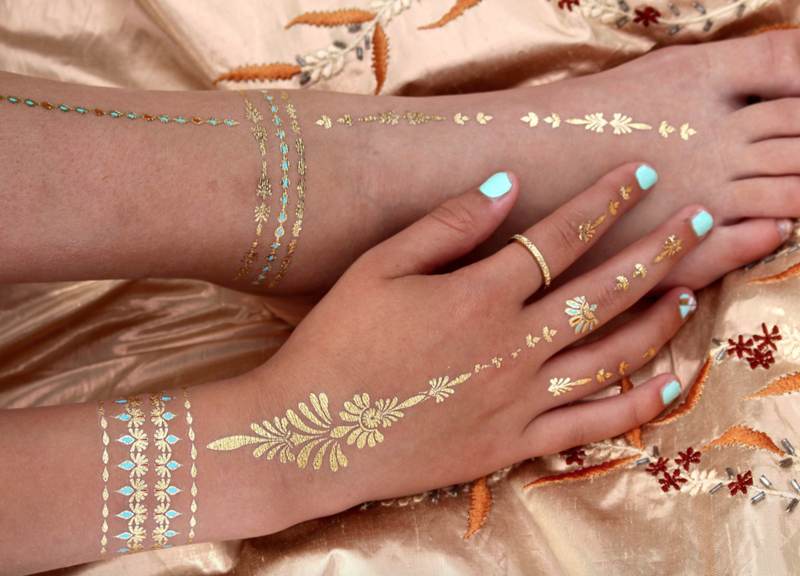 They have absolutely beautiful metallic tattoos. I chose ‘Karma’ – which is the gold pack with aquamarine and coral details. I’m not going to lie, I was sceptical about how well these would come out, but I was pleasantly surprised! They’re really easy to apply and they look just as they do on the website. It did made me laugh thinking back to when I was younger though – buying packs of temporary tattoos and bubblegum… only to hate the flavour of the gum and not be able to get the tattoos to actually work! 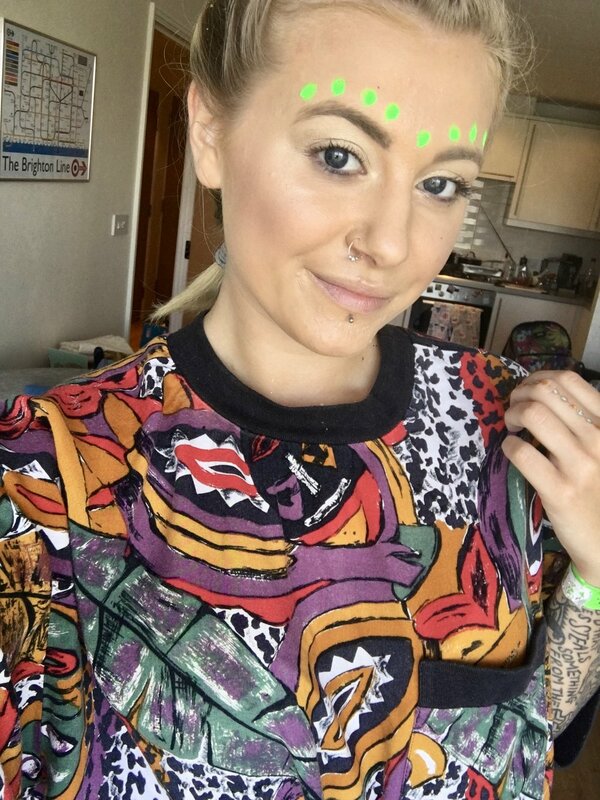 I don’t know whether I’m happy that kids don’t have this struggle nowadays or a little bit jealous..
Picture from Azzy London’s website… Would the temporary tattoos live up to my high expectations? They definitely did – they looked great and lasted well! Do you have a festival ‘must have’ that I’ve missed off the list? Let me know in the comments! *The products from Pic ‘n’ Mix Festival, MAD BEAUTY, and Azzy London were kindly gifted to me. All opinions are my own. An essential for me and my family, was hats! Keeps you cool and keeps the Sun off, especially if you are like me and laking hair! 😂 We went to Cornbury and loved it. Power bank charger was great also! 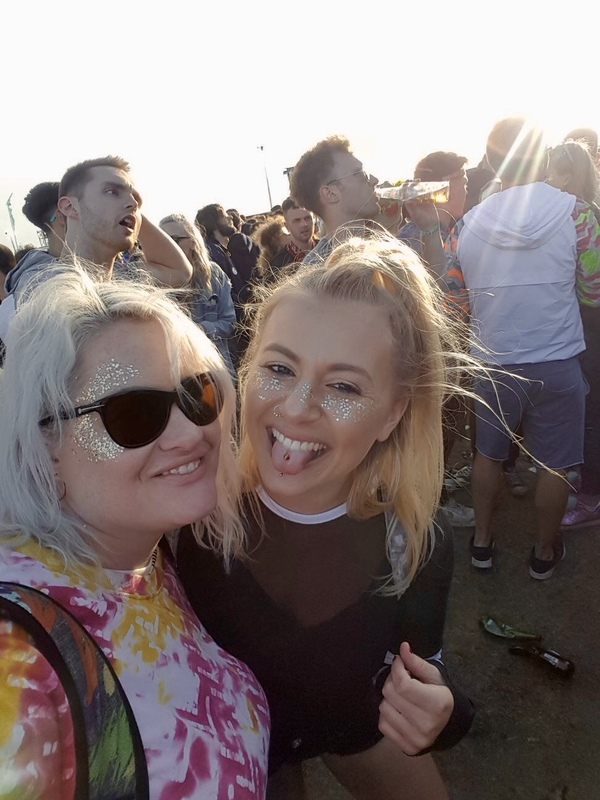 Awesome checklist of festival essentials here – a mix of some mandatory hygiene stuff and some fun and glam products! I’m so pleased I’m not the only one who worries about getting dysentery at festivals!